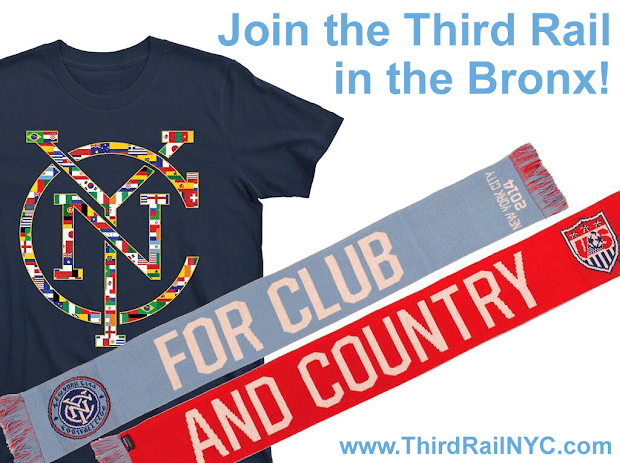 NYC is Blue: Join the Third Rail in the Bronx! 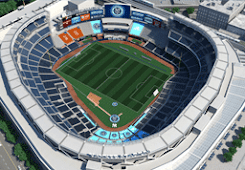 The Third Rail is sponsoring a pub crawl in the Bronx, to watch World Cup games and help find a new favorite watering hole near NYCFC's temporary home. All three bars are right outside Yankee Stadium and a short walk from one another. At each stop, we'll be raffling off two NYCFC "32 Nations" t-shirts and two "FOR CLUB AND COUNTRY" scarves, featuring NYCFC on one side and the US Soccer crest on the other! These limited-edition prizes are courtesy of NYCFC, and you can only get them at one of the club's World Cup events! For more information, check out our Facebook event page. Hope to see you in the Bronx!